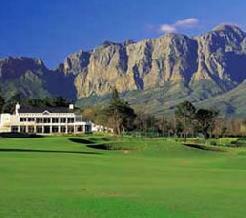 Voted among the top 5 golf courses in South Africa and the top golf course in the Western Cape by both Golf Digest and the Compleat Golfer Magazines, the Arabella Golf Club – home to the Nelson Mandela Invitational – stretches through rolling fairways, deceptive bunkers and challenging water traps. 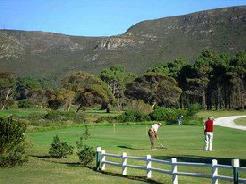 A truly unique golf course set on the banks of the Bot River lagoon and fringed by indigenous fynbos. 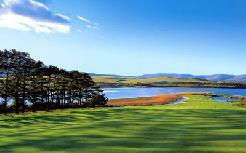 Designed and built in 1999 by celebrated South African golf course architect Peter Matkovich, this course has spectacular views across the Bot River lagoon and across the Kogelberg mountain range. The pristine fairways are kikuyu, while the greens, which frequently receive high praise from professionals in the game, are Dominant Bent. The golf course has been refined in the past six years with the addition of several bunkers and the revamp of the par-four 6th hole in order to rid it of its original blind tee shot. The Arabella Golf Club has been the annual home to the Nelson Mandela Invitational charity golf tournament from 2003, hosting the likes of Jack Nicklaus, Samuel L Jackson, Ronan Keating, Ernie Els, Retief Goosen, Tim Clark, Lee Westwood and Sam Torrance. These and other top names have made a valuable contribution to Gary Player’s initiative to raise funds for the Nelson Mandela Children’s Foundation and the Player Foundation. There is no doubt that a round of golf here ranks with the best experiences anywhere in the world. Signature Hole: The tough par-3 seventeenth, alongside the largest natural lagoon in South Africa, requires a precise tee shot. 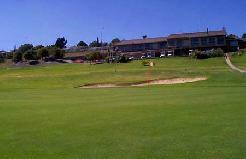 Miss the green right and you could be in the lagoon.